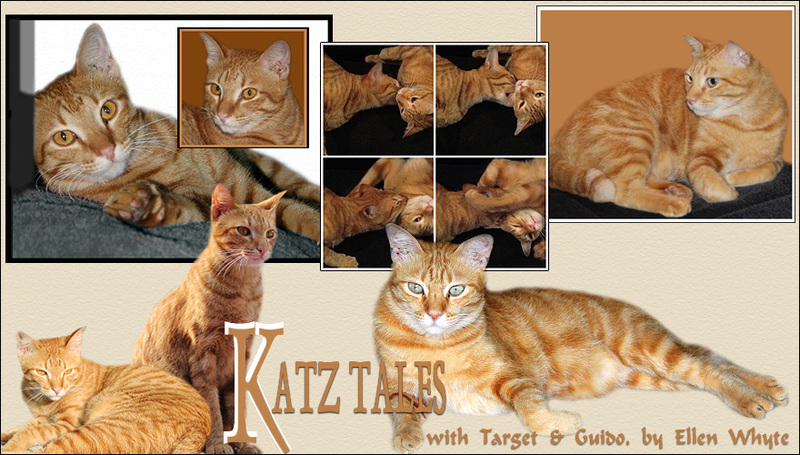 Katz And Other Tales: COT Cat Fight! Ah yes that happens at our house too! That's cute! Poor Sassie is still trying to decide what Peeve is. He was hissing at her the other day and she kept looking at him like, "What is that thing and why is he making that noise?" I wish I had a camera ready to capture her expression. Hi Katz, I'm in COT. I manage to take some pics! Aren't Target and Au cute? The spirit of brotherhood, hehehe! I don't see any "cat fights" cuz my Twylah is a lone ranger. She is very indoor and her activities are just so limited. Hope to take her outdoors someday. hi. cats are really like ninjas fighting with the minimum of sound. These are really cute photos. Dobby and Franklin play a lot, but for some reason, Dobby has a rule that they cannot do it in front of humans so I have no photos. We hear the thumping and banging though. They play so lovely together !! I have alwyas love to see cats play with each other. Sometimes they are so mesmerising! Au and target looks cute together. Are they siblings? LOL @ the powerful back paw bit! That is just soooo.... CAT! We have mock fights at our home as well. Very often it's a battle over whose turn is it to sit on the TV or fridge, although they know none of them are allowed to. When my son say these popsicle makers he was so excited, but slightly confused. I told him they contacted me and offered to send me the package if I'd host a contest. Then, he asked me, "So, we have to test them, wash the popsicle sticks and give them to someone????" Also, thanks for linking me. : ) I love visiting your blog. That's quite a wrestling match! We don't have many of those in our house since we usually prefer to nap. Looks like fun though! Dora: the duel is an ongoing thing so there is no out and out winner. However, Target pounced on Au from the stairs the other day and our fat fuzzy was somewhat flattened so we recon Target is currently one up. Ydiana: Au and Target are not related, I think! Au is from Malacca and Target from Subang Jaya. Au was thrown out of a car, wrapped in a plastic bag. Target was rescued from a drain when his family died. But they are both fuzzy, spoilt and having lots of fun! wow adorable cats, house and post! Great cat fight - when it happens at our house it is usually more forceful! Thanks for listing us in your cat friends! Look at you two kitties. Here you are fighting, and then the previous post, you look like you are sitting together like good kitties. Meow!